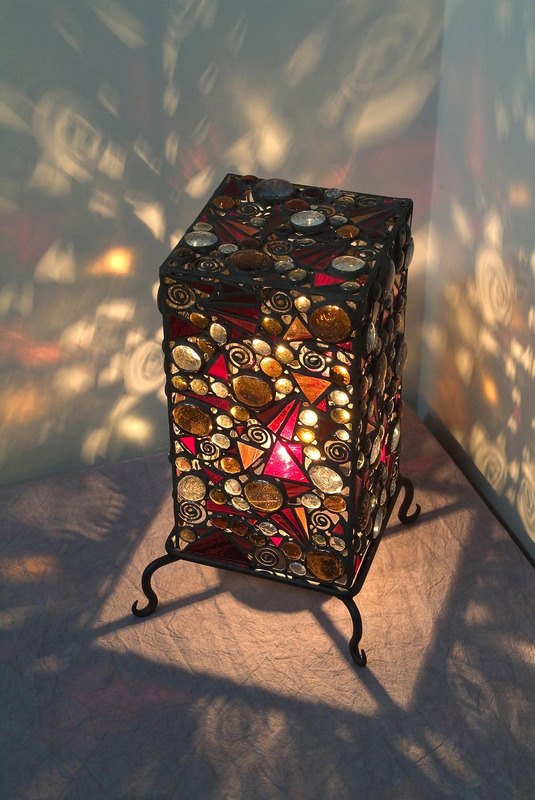 With panels of stained glass set in behind the 6" x 11" filigree rectangle, amber glass and gems, a more diffuse coloured lighting effect is produced. Imagine placing a bold colour of glass behind the filigree and the mood it would set. Or you could have different colours on different sides, and rotate it to suite your mood.